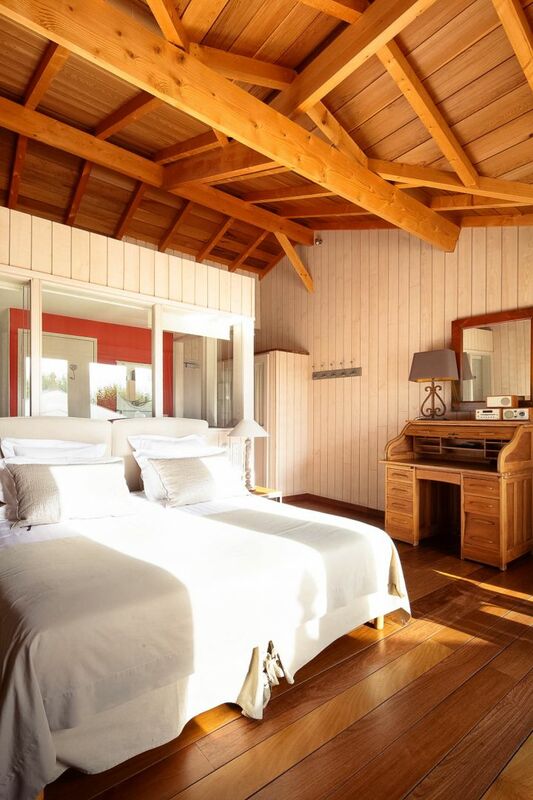 Our Prestige room of 38 m² has a large terrace bathed in light from the morning with a partial view of the the Arcachon Basin. 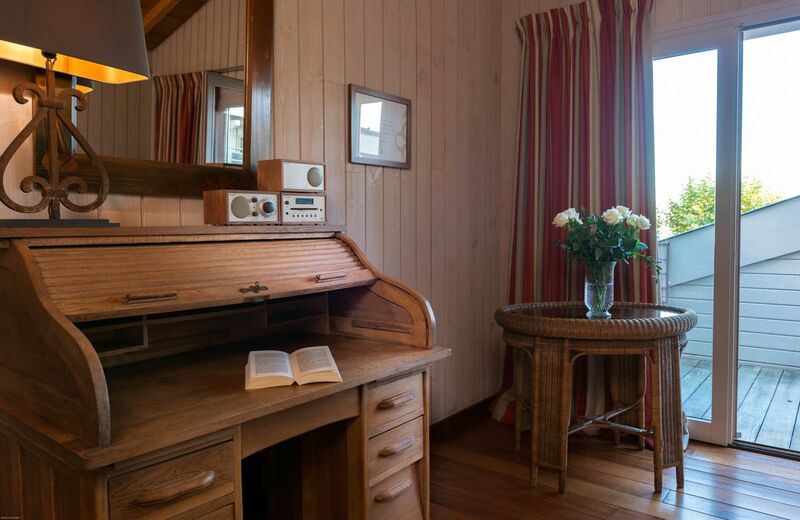 In a Cap Ferret style space, the Duras Room will make you appreciate the luxury of a 4 star hotel in the heart of the Arcachon Basin. 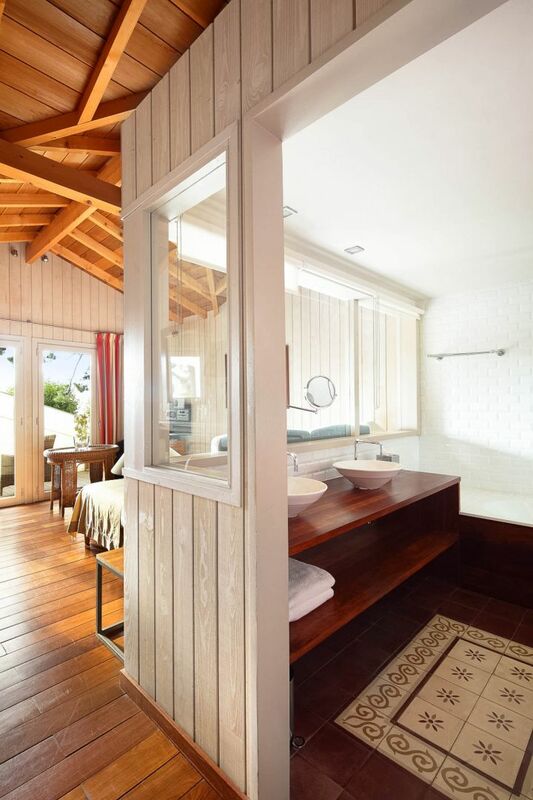 The bathroom with two sinks also has a bathtub.